are based on our standard 300 mm & 400 mm deep roll post shelving systems which have to be used with special shelves, shelf partitions and bin fronts. 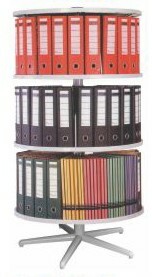 The system is modular in nature and is adjustable to your changing needs of storage. These special shelves are made from 0.8mm CRCA steel duly powder coated in RAL 7035 colour. These special bin fronts are available in two heights of 85 mm and 135mm. They are made from 0.8mm CRCA steel duly powder coated in RAL 7035 colour. 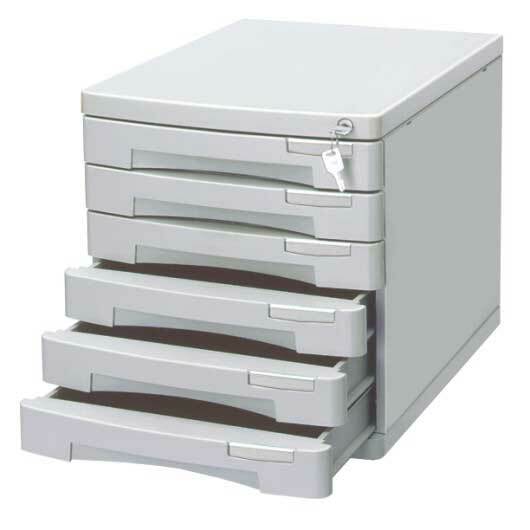 These bin fronts are designed to be used with regular shelving systems and with panda pigeon hole shelving systems. These special partitions Art No ASUSFP 300 PH & ASUSFP 400 PH are made from 0.8mm CRCA steel duly powder coated in RAL 7035 colour. The partitions are designed to be used with panda pigeon hole shelves only. 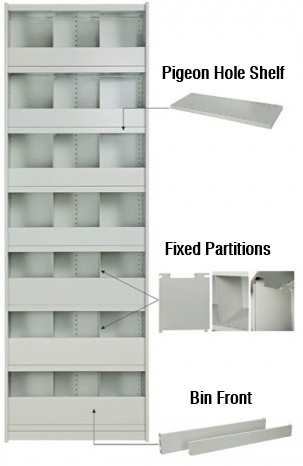 As per the design of the partition they get lodged in the slots which are on the lower end of the top shelf and on the shelf base on which they sit at the same time by which they cannot get dislodged from their location easily giving well defined pigeon hole locations for storing products. The height of the partition is 295 mm and using these partitions the useable area between two shelves is 270 mm. 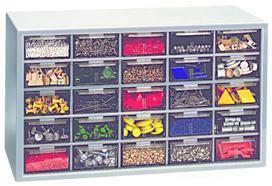 Panda Pigeon Hole Shelving Systems of depth 300mm & 400mm are ideally used for storing small parts in fixed locations without Bins. 1 Set of ASUB 124 Shelving Body. 1 Set of ASUB 184 Shelving Body. 1 Set of ASUB 214 Shelving Body. 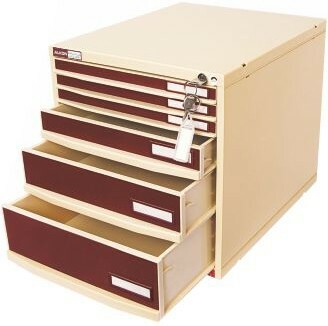 Pigeon Hole Shelf Partitions and Shelf Bin fronts can be ordered as per your requirement.